The NYCDOE School Year Calendar states clearly that twice a year, “students in all five boroughs will not be in attendance, but schools in all five boroughs will be scheduled for a Chancellor’s Conference Day for staff development related to the Regents High Learning Standards and Assessments.” What does that mean? In two words: Professional Development. It also means that on a given day each semester, public school teachers from across the city are looking for professional development opportunities. 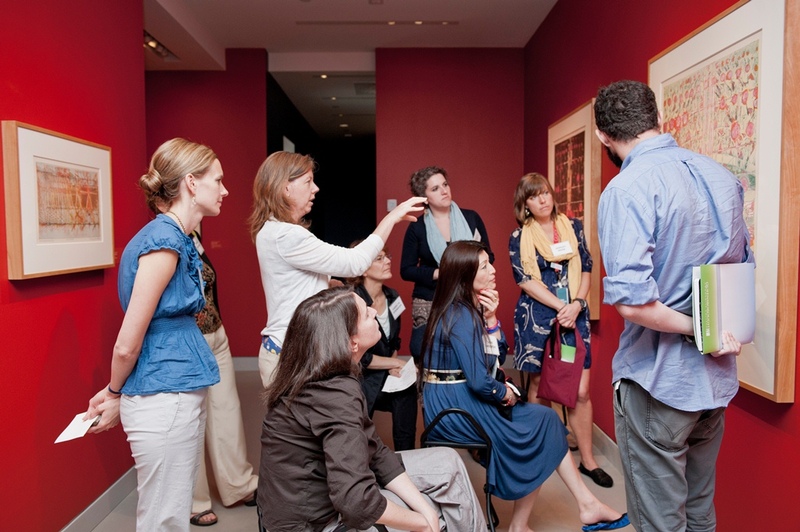 Museums have always been resources for educators, and lately we’ve seen a LOT of interest from schools in teacher training here at the Rubin. On evaluations, teachers often remark on our museum’s approach to slowing down and engaging with one or two works of art deeply. Consequently, we’ve started explicitly grounding some of our PD offerings to concepts like inquiry-based learning, fostering curiosity, and mindfulness. In fact, we’ve started offering thematic open-enrollment workshops so that teachers whose schools might not be able or willing to send them here can join a workshop individually. 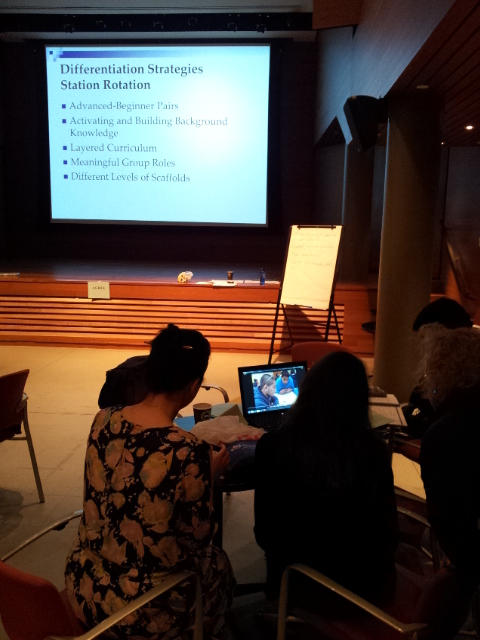 We continue to offer workshop packages to schools that book them for their entire staff. We also collaborate with educational organizations like CALTA21 to co-facilitate professional development programs. On June 7th, we did all three things at once. It was an all-hands-on-deck day; most of the Education Department was involved in some way. The day was amazing and overwhelming, inspiring and frazzling, exhilarating and exhausting. It felt like we made time to do everything. I was proud of all we accomplished, even as I felt the need regroup. This entry was posted in Art Making, Education Center, Himalayan Art, K-12 Schools, Museums, Professional Development, Resources, University Audiences, Visitor Experience and tagged CALTA21, Fostering Curiosity, High School for Language and Diplomacy, Inquiry, Mindfulness in Education, Open Enrollment PD. Bookmark the permalink.